Ah, LinkedIn…where would my blogging be without your Groups feature? 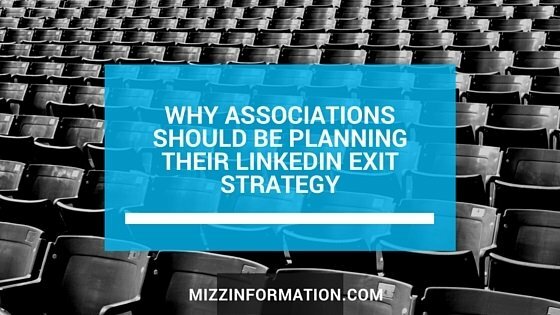 It’s been a few months since I’ve written about why associations shouldn’t rely on LinkedIn Groups and speculated about whether LinkedIn is in the (albeit slow) process of phasing out the groups feature, but a few recent things have ramped up my suspicions and made me think that now is probably a good time for associations who rely on that feature to start thinking about an exit strategy–or at least a plan for what they’ll do when LinkedIn finally comes out kills off groups instead of slowly bleeding them dry of all useful functionality. Remember back when you could use your LinkedIn group to advertise your association’s job postings and feature your products and services for free? Then they cut those features. Ditto the polls feature they used to offer. Same for the ability to connect with other group members. 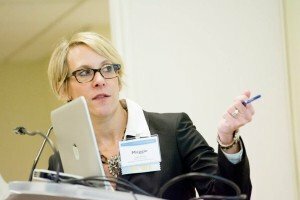 But at least group managers and owners could communicate privately with group members via messages…until recently, when LinkedIn announced that group members and managers are only able to send 15 free 1:1 messages per month–to go beyond that 15 message limit, you’ll have to pay for a Premium account. Well, at least group managers still have the ability to send an email announcement to group members once a week for free, right? Looks like that feature is on its way out too, with many LinkedIn group managers reporting that the announcements feature no longer works for them. I’m still able to send announcements to the groups I manage…some of the time, but the “test message” option is disabled. I figure it’s only a matter of time until the announcements feature disappears entirely, making LinkedIn groups just a cumbersome platform to manage with no gain. To me, the announcement feature has been the one redeeming feature of a groups feature that gives you no control over the information about members or even the ability to post your association’s own content in your own community. Sure, LinkedIn is cumbersome and riddled with ads from other companies, and doesn’t let you post your own jobs or your own promotions in the discussions tab of your own group there, but you can send an email to all members once a week, which is valuable particularly if your group members are not association members and not opted into your associations own email lists. Except now you many group owners aren’t able to send those announcements and apparently LinkedIn isn’t interested in fixing the “known issue,” and even those announcements that seem to be delivered are apparently not going out via email–the whole point of the announcements feature. Ok, so the one last redeeming feature of groups is that you can use it to generate leads for your career center or other advertising opportunities when people post about products or jobs and you reach out to them saying that promotional posts aren’t permitted but here are some ways they can advertise those things through your association. Oh–but wait…today when I went to the Promotions tab to flag the ubiquitous job posts that continue despite group rules forbidding them to at least save them for future leads since we’re about to launch a career center, I clicked “flag”…and nothing happened. I figured it was just a fluke and tried again…nothing. Thought maybe it was just a browser issue and tried it in another browser…nope, same thing happened. I can still delete posts but that doesn’t do any good if I’m trying to save the information for later, does it? Yet another glitched up feature that LinkedIn will invariably just not fix, just as they haven’t done with the announcements “known issue” for over a year now. If LinkedIn were a brick and mortar place that the owners were just slowly letting fall apart, wouldn’t you assume that they were just riding out the decline until eventually closing their doors forever? Honestly, with all the features slowly but surely being removed from LinkedIn Groups, how can we not come to the conclusion that they’re just all these glitches go until groups are rendered totally useless because their ultimate plan is to get rid of groups? If your org does have its own private community, I’d announce that the LinkedIn group will be sunsetting by a certain date and do a big push to get people to join and start participating in the private community instead of the LinkedIn group. If you’re not already doing regular pushes to get people to engage in your private group and/or highlighting the benefits of your private community over the LinkedIn group, start. Maybe do a weekly tip or highlight of a feature your community offers that LinkedIn doesn’t, or do some “look at the discussions you’re missing” type posts highlighting what’s happening in your private group and why people should join and start engaging there. If you don’t already have a private community that’s members-only, consider launching one–or even a listserv if you’re not ready for a full-fledged community yet. Then do a push to get LinkedIn group members to join with a membership drive–a discount for joining or some other incentive to convert LinkedIn group members to association members. Take a look at your current communications/community/marketing strategy and map out which channels are working for you and which either aren’t or, in the case of LinkedIn groups, might be working but possibly on the chopping block in the near future. Is the current allocation of staff resources still in line with the benefits of each platform? If nothing else, it’s a good exercise to see if your social media/community strategy could use a refresh and maybe free up some of those resources to explore new platforms, or shift focus to the ones that are delivering the best results. I’ve been saying it for years and I’ll say it again now as I curse not being able to flag promotional posts in my org’s “own” community there and not being able to communicate privately with group members, LinkedIn is great for some things, but not as your association’s community platform. As always, I agree with your predictions and recommendations. I was just about to send you a note about a new issue we are having with LinkedIn that you haven’t mentioned here that we call “self-flagging”. Not only does LinkedIn already move association related and professional networking communications into the submission queue (even when those individuals are “approved to post”), we’ve discovered that the system is now flagging posts on behalf of the poster into the moderation queue! LinkedIn says these folks are “self-flagging” but we’ve reached out to these individuals and they are not misusing the flag. It seems LinkedIn must be running some sort of algorithm that is taking the liberty of “self-flagging” their posts for them. Luckily, we are well on our way to launching a new online community and will heed your advice to start encouraging our LinkedIn group members to mosey on over to what we hope will become their new professional networking home online. Key with any online group is the ability for the admin to message all members and be able to rely on it as a way to get beyond on the Facebook filtering on groups that give you big numbers on the surface only but not in terms of real reach.